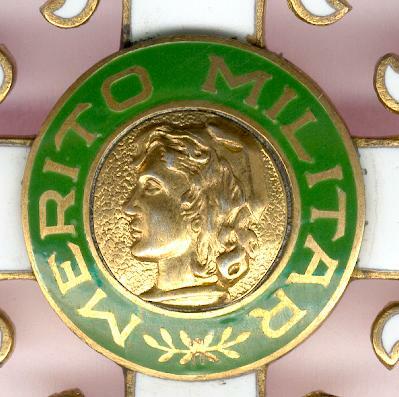 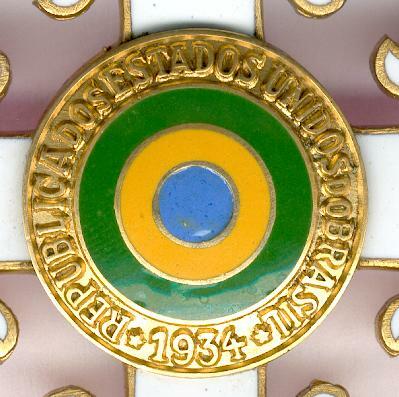 Large gilt-edged white enamel cross flory on ribbon ring suspension; the face with a central gilt medallion with a female head representative of Brazil encircled by a green enamel ring inscribed in gilt letters ‘MERITO MILITAR’ (Military Merit); the reverse with a central medallion with concentric enamel rings of blue, yellow and green within a gilt circle inscribed ‘REPUBLICA DOS ESTADOS UNIDOS DO BRASIL 1934’ (Republic of the United States of Brazil 1934); diameter 53mm (2 inches); all enamel faultless but for a possible old repair at the bottom of the lower arm of the face; on original neck ribbon lacking ties and with some staining; with rare award brevet to Dr. Izzat Kourchid, Director of Protocol at the Ministry of External Relations, Republic of Lebanon, dated 5 September 1960 and numbered ‘841’ (the brevet is in brittle condition, cracked across the middle and with numerous tears and reinforcing tape on the back). 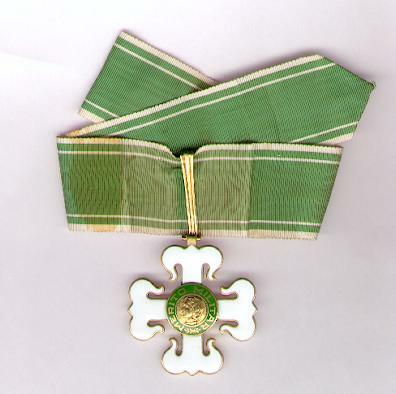 The Order was created by Decree N°. 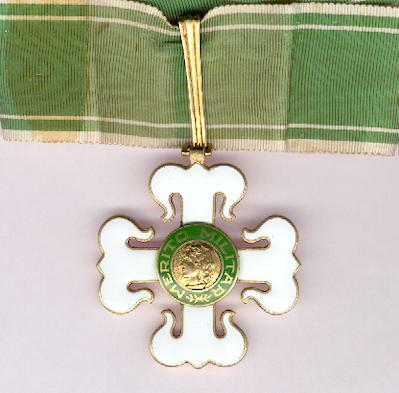 24660 on 11 June 1934 and the regulations relating to its award have been modified several times over the years, most recently in June 1967. 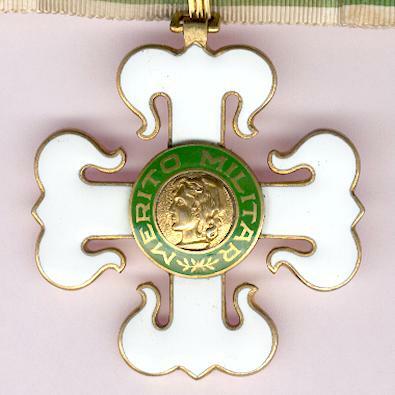 It is awarded to members of the Army who render significant service to their country or distinguish themselves in their profession. 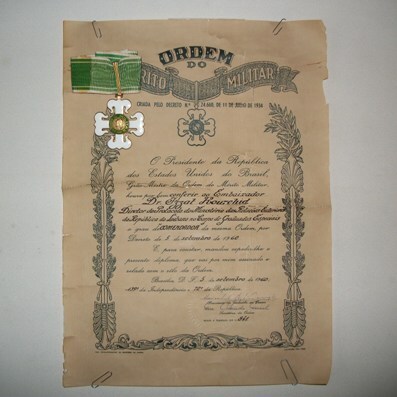 It may also be awarded to foreign military personnel who render significant service to the Brazilian nation or army and to Brazilian and foreign civilians who render prestigious service to the Brazilian army. 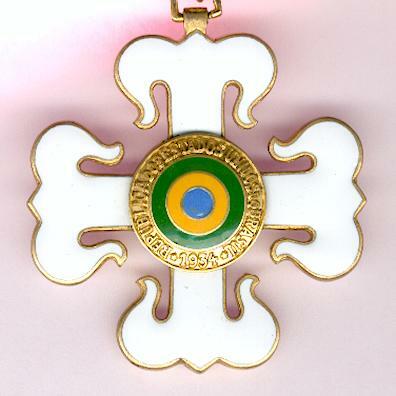 A good example of an impressive decoration, rare with award brevet.